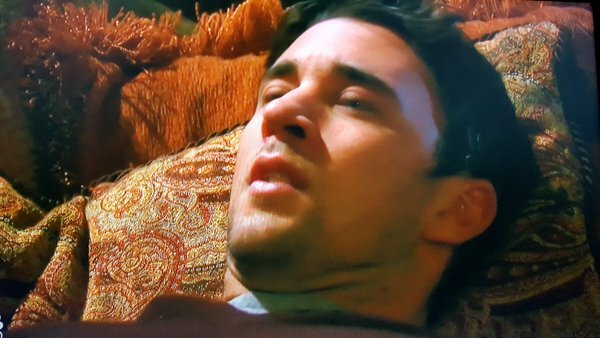 Tomorrow on the May 31, 2016 episode of Days of our Lives, Chad (Billy Flynn) is upset after Abigail (Kate Mansi) refuses to see him again. How much more can he take? Meanwhile, Hope (Kristian Alfonso) comforts a distraught Aiden (Daniel Cosgrove), while Adriana (Alma Delfina) makes a mysterious phone call, summoning someone to town. Could this be the mysterious Blanca (Ximena Duque)? Elsewhere, Joey (James Lastovic) takes a dark turn and robs a souvenir shop for Jade (Paige Searcy), and Kayla (Mary Beth Evans) seeks comfort in Fynn's (Alexander Bruszt) arms.